1) Integrated wall information: The walls of the rooms are made of various materials and sizes. The Design master HVAC and heat load calculations software has wide variety of walls predefined in it. The options of the wall as a partition are also included. The dimensions of the wall are calculated directly from AutoCAD software drawing. 2) Project Information: The HVAC designers can put in the project information which is common throughout the building. The default conditions set for the rooms can be easily overridden. 3) Heat gained inside the room: Based on the dimensions and area of the room taken from AutoCAD, the heat gained by walls and windows is calculated automatically. The other loads of number of people, electrical equipments and outside can also be calculated by putting the relevant information. 4) Duct Sizing: Based on the total heat load calculations the HVAC design engineer can calculate the CFM of air required inside the room and fix the duct sizing. In Design Master’s AutoCAD HVAC software, the designers can size the ducts by three popular methods: constant velocity, constant pressure drop, or static regain. There is also a facility of including various types of duct fittings within duct design. The layout of the duct drawings can be easily printed. 5) Making 2D and 3D drawings: With Design Master’s HVAC design software you can easily make 2D drawings and convert them into 3D models by just a click of a button and print them. 6) Calculating the CFM: The HVAC designer can easily calculate the air flow rates flowing through various ducts in CFM. The integration of Design Master’s HVAC software with AutoCAD offers several advantages. 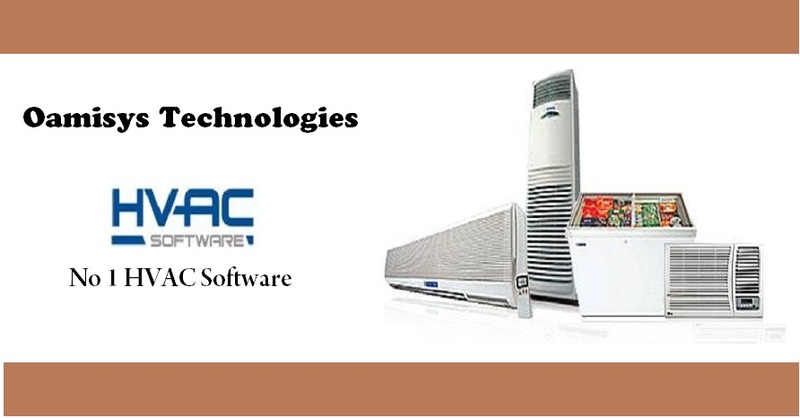 In fact it is a creative concept that has made HVAC designing faster than ever before. 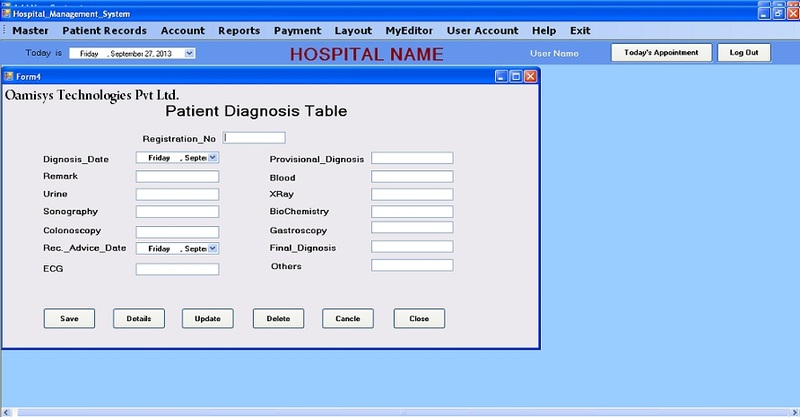 Hospital Management Software helps healthcare to care patients & manage resources well through the best practices and word class technology. This provides an end to end solution to hospital and clinics to enhance medical, economic and operational results. eHAT range of products comprises of a platform that pulls together patient demographics, medical & clinical records, imaging & PACS, management information intelligence etc. We focused on improving efficiency of medical practice and better patient quality of care. The patient centric health systems not only enhance clinician productivity but also optimizes workflow and make charting easy. Contract Management module easily manages your contracts and contractors. Manage the contract process from bid and award through completion for contracted services on your facilities, buildings and assets. Control the contract award process from preparation of the contract through sending it out for bids. Once awarded, you will have the ability to track the contract throughout its entire life cycle. Efficiently and effectively issue contract-related work orders, track costs for labor and materials to build contract history and upon completion, rate contractors on work performance for future reference. Contractor Management is a single repository for all the data required to manage external contractors who send personnel to your premises. These should include key factors like selection criteria, induction requirements, method statements, insurance documents, personnel details and individual skills, training & qualifications. Over the time, the Contractor Management module will provide a complete auditable history of all visits to site by external contractors and the purpose of each one. We focus on software that is easy to use that provides invoicing, billing and customer management that require advanced accounting skills. We also look at additional features such as remote backup, templates, forms and inventory management, which are good extras to have, if you need them! 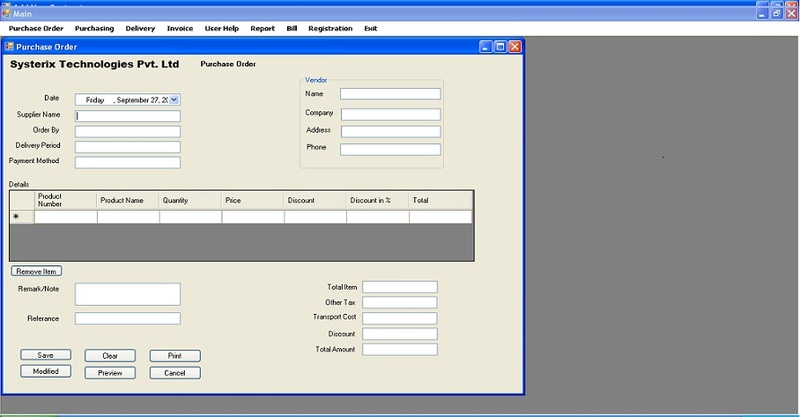 Purchase	Order	module	helps	you to	save time,	reduce	costs,	and	automate	processes	through	supply	chain	management	tools. Purchase	Order	provides	you	with	the	functionality	to	simplify	your	purchasing	and	receiving	processes	while	ensure	greater	purchase order	accuracy. 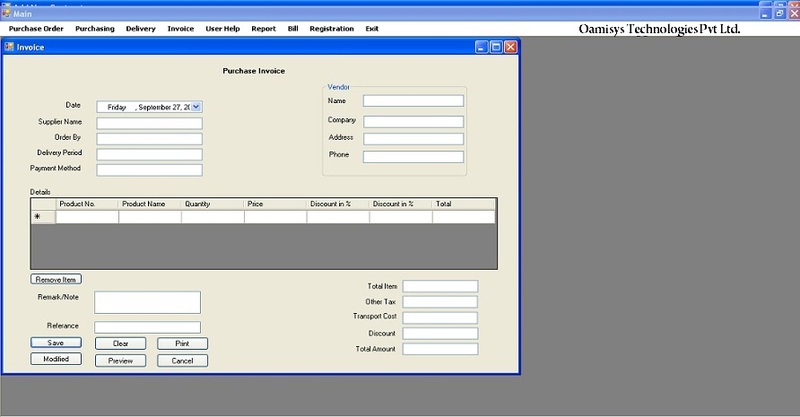 The purchase order management module in resource ERP includes On-time Requisition, Contract Management, Rate Sealing with vendors and Vendor Management. This module also offers access to approved suppliers, purchase order management, purchase enquiry to be floated to multiple vendors on a single click of a button. 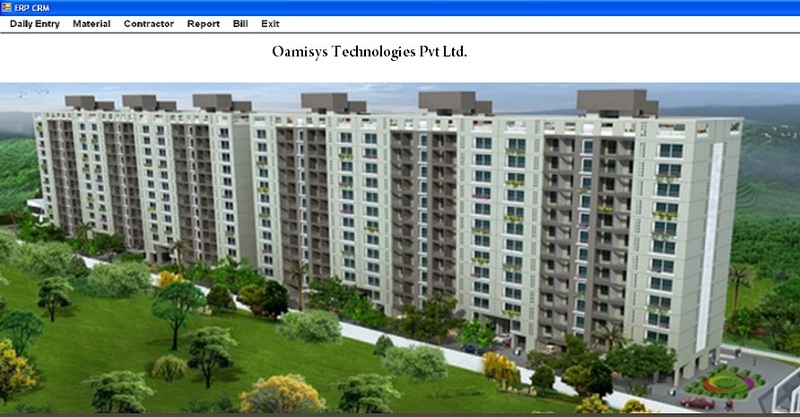 Purchasing is very important component of material management module. This module is fully integrated with other modules in resource ERP. The purchasing module of resource ERP supports all phases of material management, material planning and control, purchasing, goods receiving, inventory management and invoice verification. The purchase module communicates with other modules to ensure a constant flow of information. Society Management Software is a user friendly software. You don't need to have any previous accounting experience to work with it.